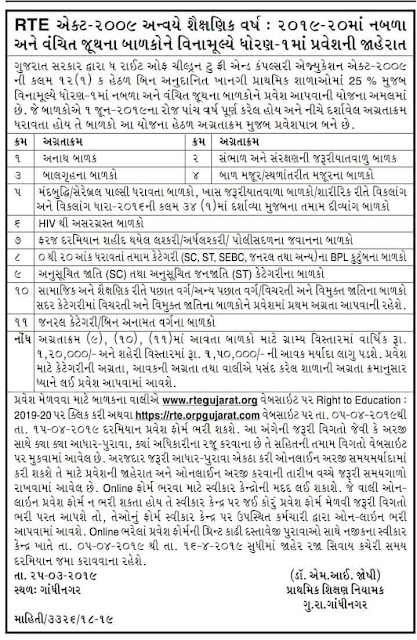 RTE Admission 2019-20 Gujarat Application Form- The applications will be invited by Directorate of Primary Education for the admissions into primary classes. Children of age group born between 2 June 2013 to 01 June 2014 will be considered for admission. 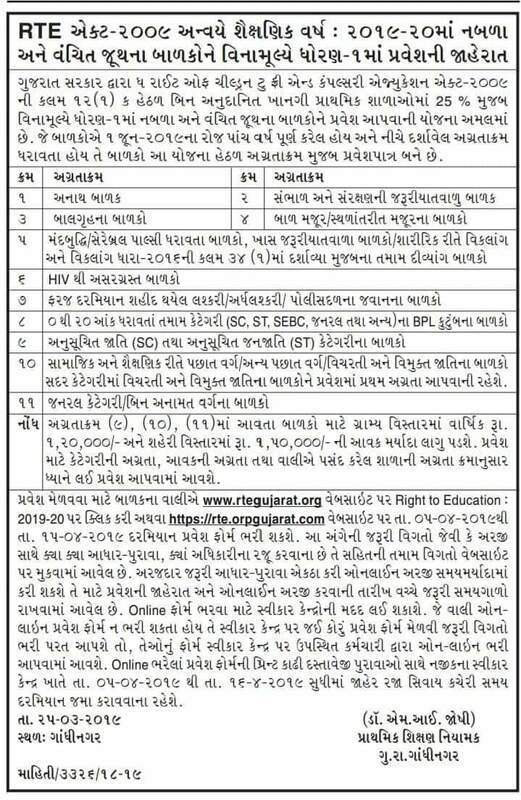 Along with that the child must belong to one of the categories:- SC/ST with Parent’s Annual Income upto 2 Lakh, OBC with Parent’s Annual Income upto 1 Lakh and GEN Category with Annual Income up to 68,000. The Children not satisfying this criterion will not be administered and the list of the rejected forms will be displayed on the website with the reason of rejection.